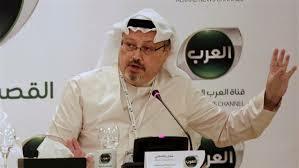 The murder of journalist Jamal Khashoggi is a tragedy, and it is of a piece with the related tragedy of US-Saudi relations. Weeks ago I outlined a play in four acts (see the post for October 17), which ends with the US-Saudi relationship intact and the pretense of justice done. The actors are now following the script, and the play is coming to a close—unless, that is, people in Congress do something about it. The crown prince in Saudi Arabia has denied ordering the murder; US leaders are “investigating” it; Jared Kushner has regularly checked in with his friend the prince, no doubt with reassurances of friendship; the chief prosecutor in Saudi Arabia has exonerated the prince but is seeking the death penalty for five of the murder team; the Trump administration vows to reduce US involvement in Saudi Arabia’s criminal intervention in Yemen; and the administration is sanctioning 17 Saudis, some part of the prince’s inner circle, for complicity in the scheme. Well, that should be sufficient to save American jobs in the arms industry, leave much of the Yemen collaboration intact, and preserve the unofficial US-Saudi-Israeli alliance against Iran. No doubt Trump & Co. will consider their work well done, when in fact they are complicit in a coverup, war crimes,* and a needless confrontation with Iran. Hamlet says “the play’s the thing wherein I’ll catch the conscience of the king.” But in the real world of foreign policy, the kings feel no guilt and have no conscience, and untold numbers of innocent people pay the price. Previous Post #219: Is China a “Responsible Great Power”?